Your Application. Our Expertise. Your Success. Welcome to the 21st century, where robots and automation are no longer just for the big guys. 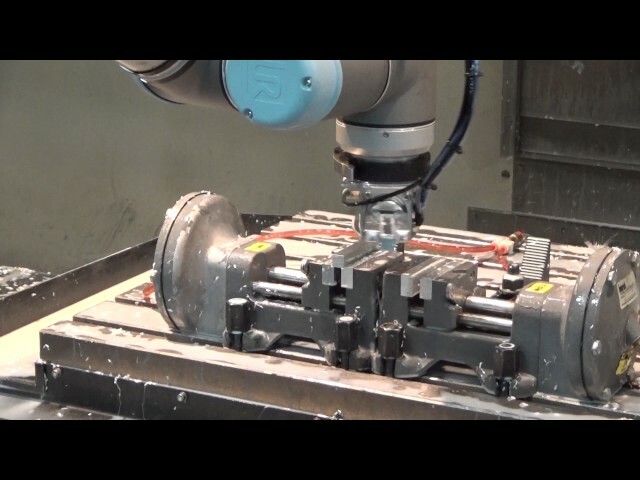 BRAAS makes automation accessible, affordable and attainable with our turn-key collaborative robot solutions. 80% standard engineering to reduce cost. 20% custom, to meet the needs of your application. BRAAS has deployed HUNDREDS of collaborative robots and thousands of traditional automation systems. You can trust our experience to help you compete in the 21st century. Contact us to learn what’s possible, and how easy it really is. Economical systems and lean design keep typical ROI under 9 months. Graphical Programming makes robotics accessible for first time users. Limited guarding and simple programming makes it possible to redeploy robots in minutes. Trust BRAAS to provide the solutions your operation needs to advance into the world of automation. From Assembly to Injection Moulding, we have a solution for your application. BRAAS Robotics Training classes offer something for everyone from beginner to advanced. From courses geared toward first-time users of Universal Robots to seminars which encourage attendees to bring their own projects to discuss, we’re sure you’ll find one that fits your needs. Founded in 1961, BRAAS is a leading US-based distributor/reseller focused on products and related services for Industrial Automation and Control. Visit BRAASCO.com to learn more. Copyright © 2017- Braas Company. All Rights Reserved. Website by junebird creative.